��������� ������� ����� Medieval Combat (Translation And Study Of The Talhoffer Fechtbuch Of 1467) ����� �������. 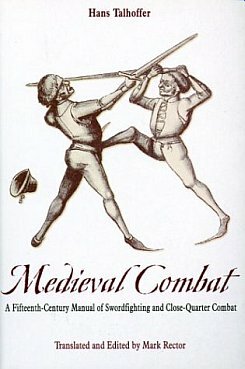 This brilliant and attractive book makes one of the most influential and lavishly-drawn fencing manuals of the Middle Ages available in English for the first time. The authentic fifteenth-century techniques of master of arms Hans Talhoffer are illustrated in ... ����� ����������� � �������� ���������� ����� .